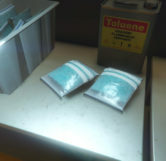 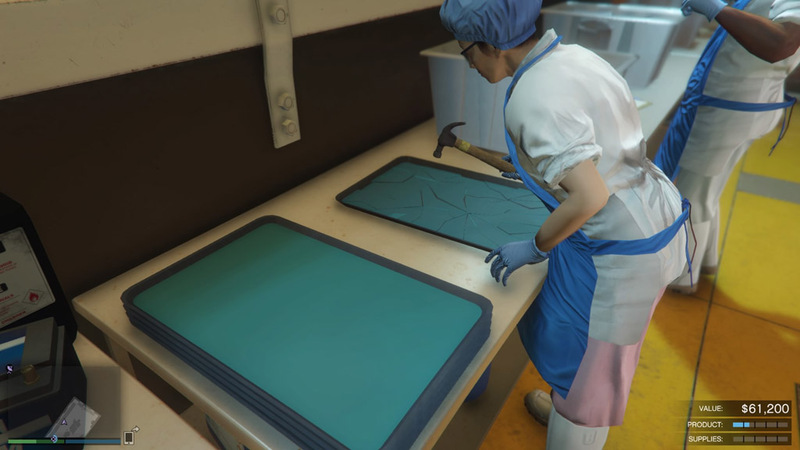 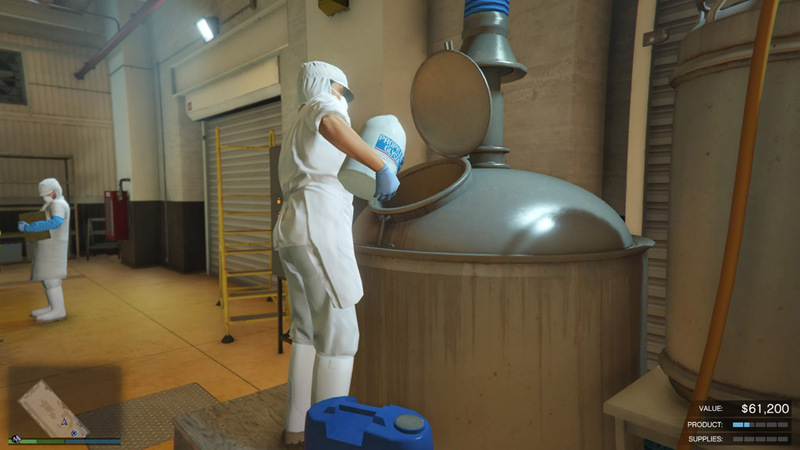 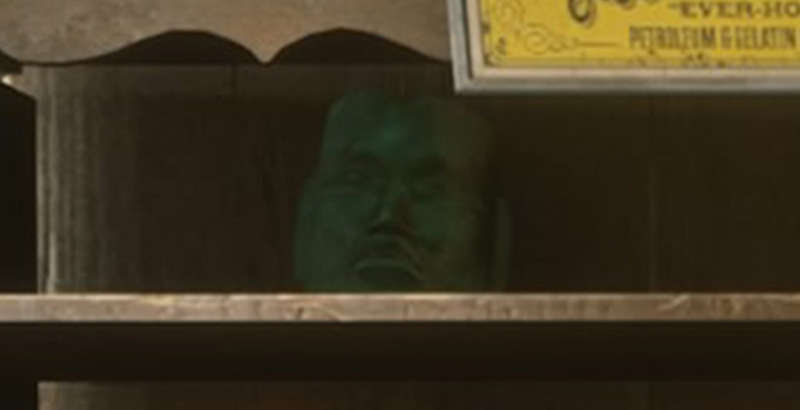 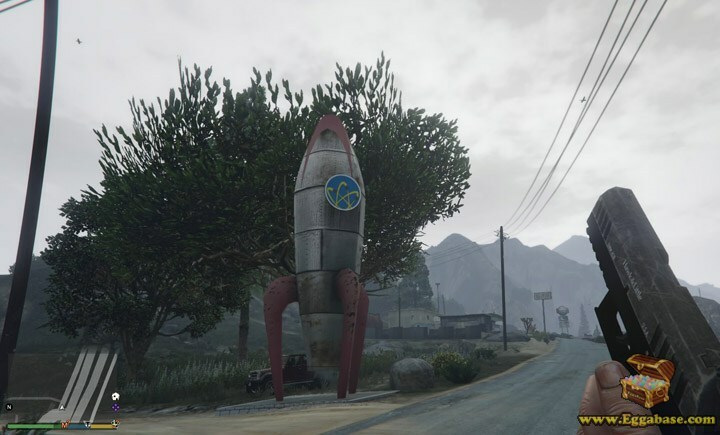 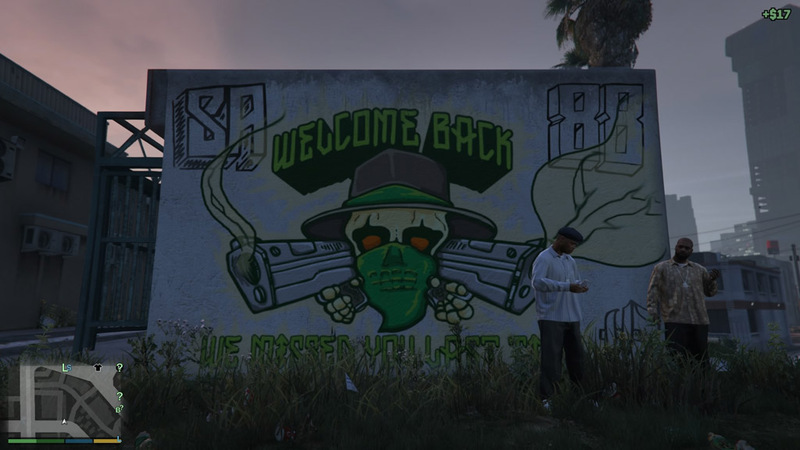 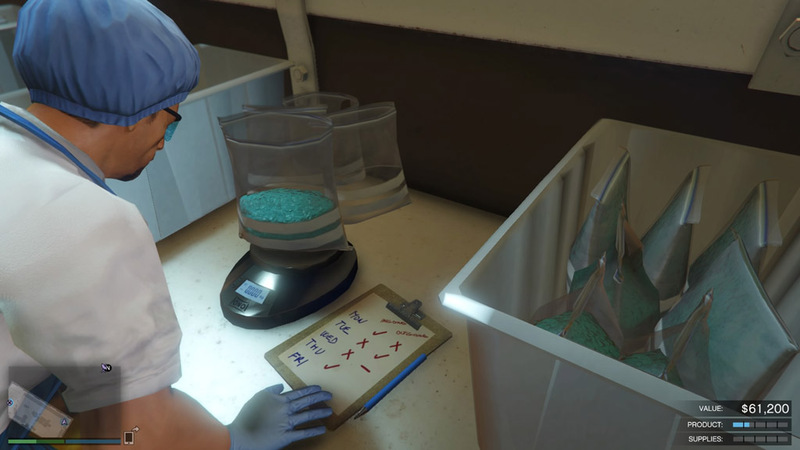 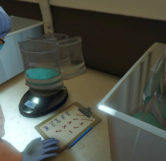 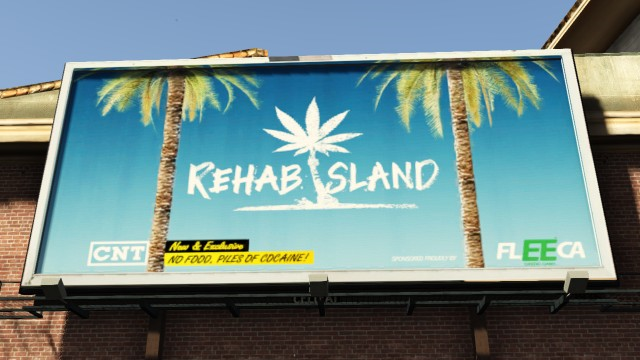 This easter egg is only viewable in GTA: Online and will require a minimum investment of $1,110,000 for the meth facility. 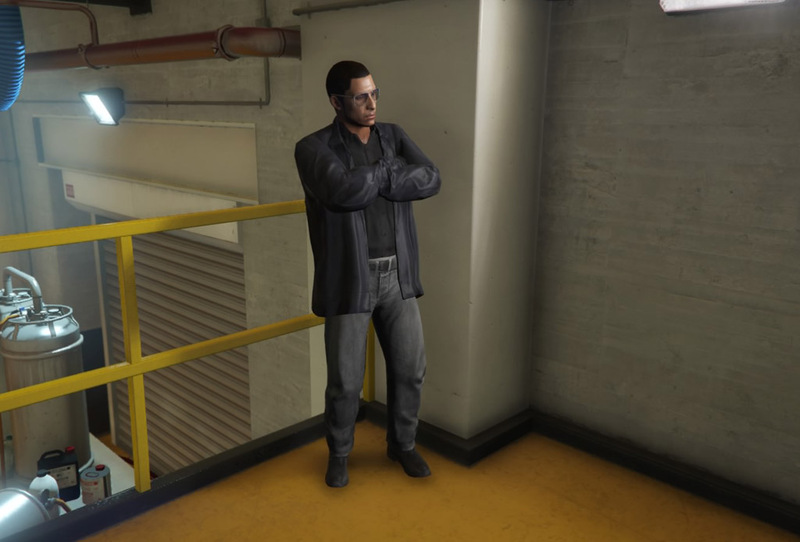 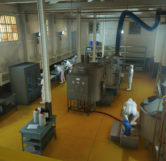 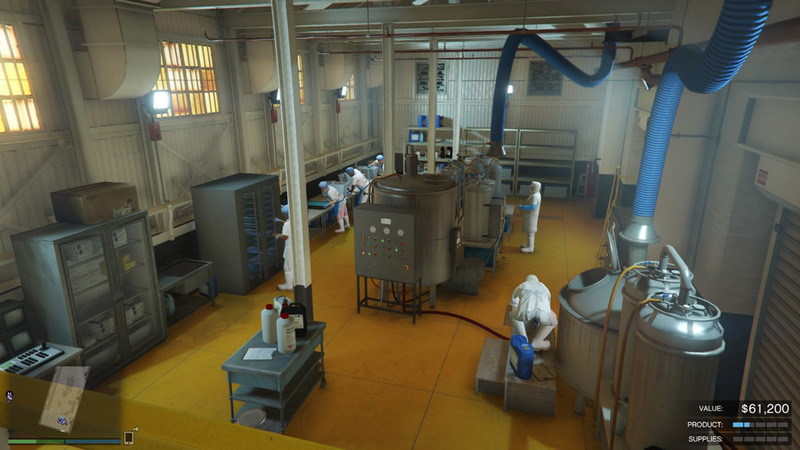 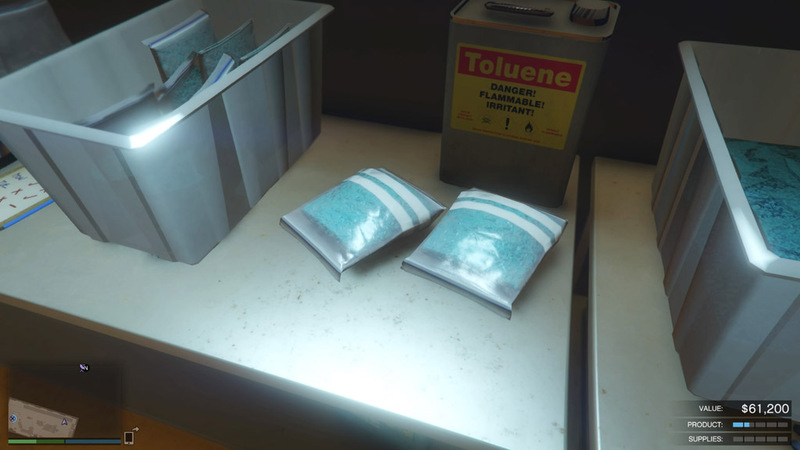 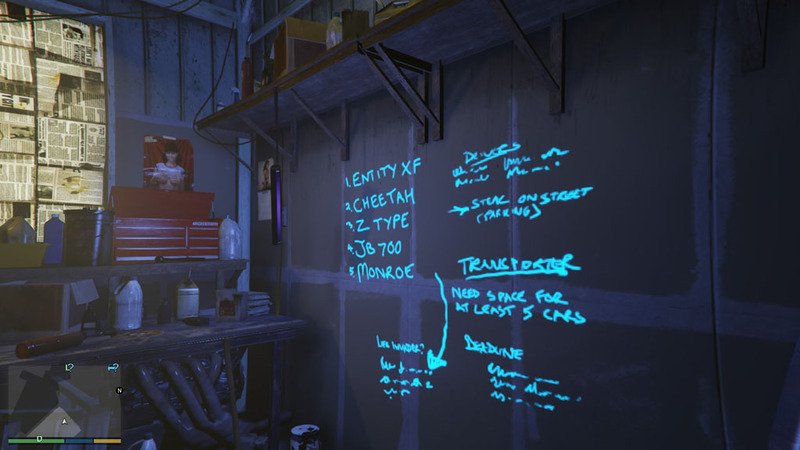 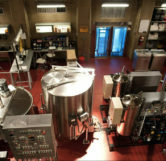 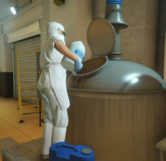 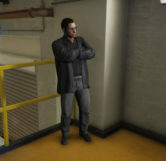 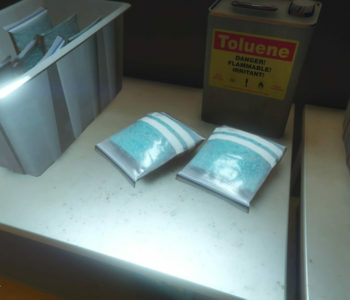 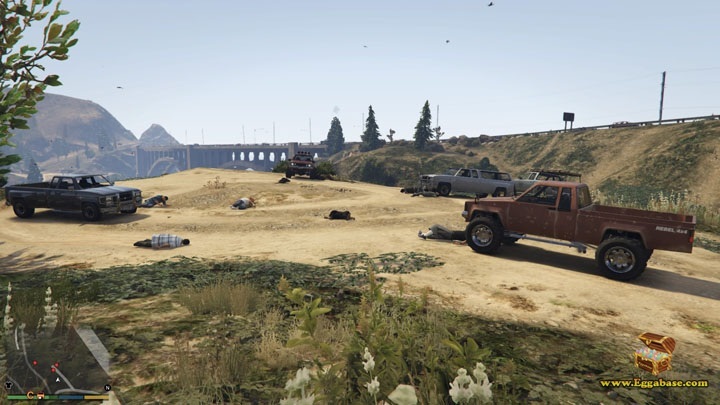 In GTA: Online, after purchasing a Motorcycle Club and setting up the Methamphetamine business players will notice the interior of the Meth Lab is very similar to Gus’s Superlab found on the TV show, Breaking Bad. 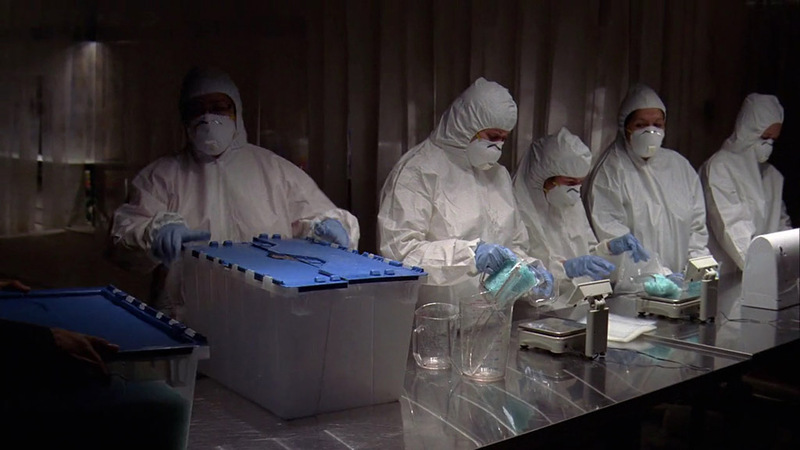 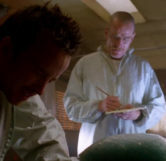 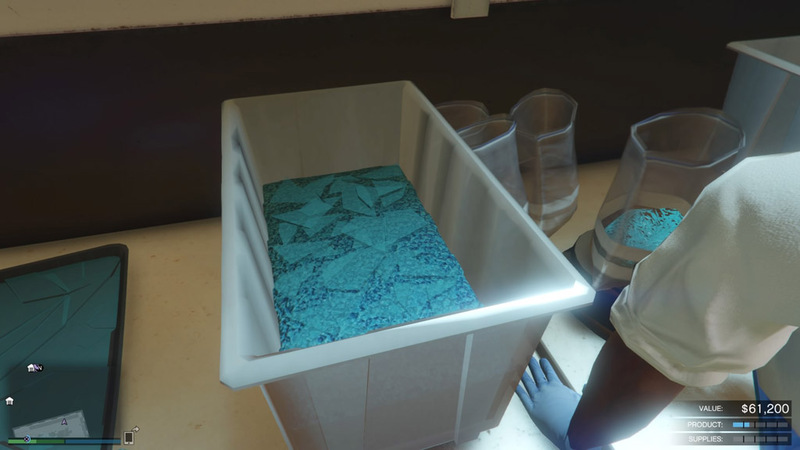 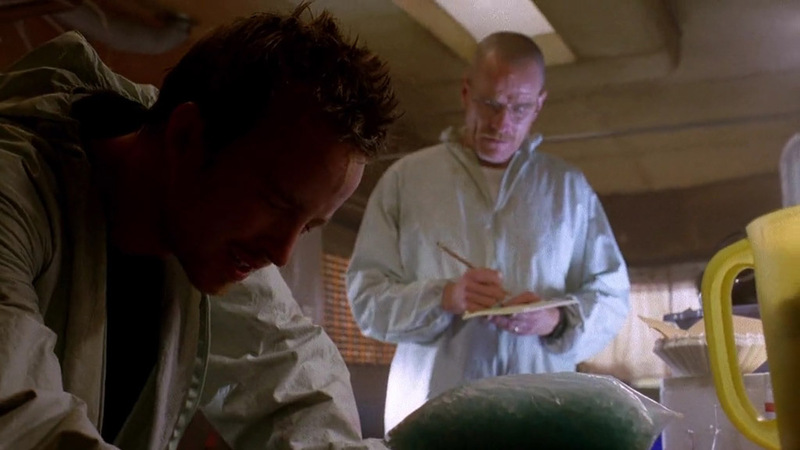 The most notable reference to Breaking Bad is the signature blue colored meth which is being cooked by the workers in the lab. 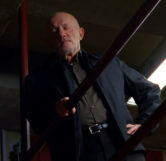 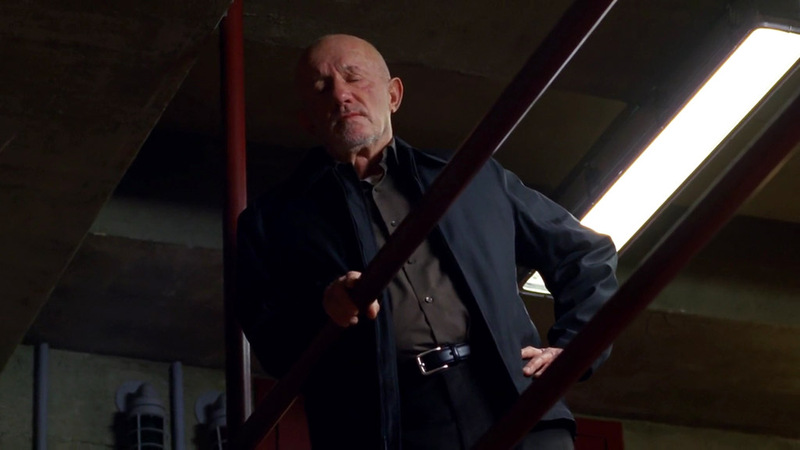 After purchasing a security upgrade for the business a security guard appears near the entrance and he is dressed exactly like Gus’s head of security, Mike Ehrmantraut. 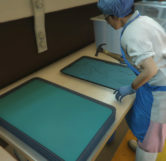 The staff use hammers to break up the long trays of hardened meth just like they do on the show at one point. 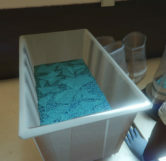 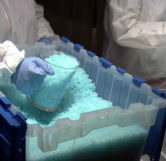 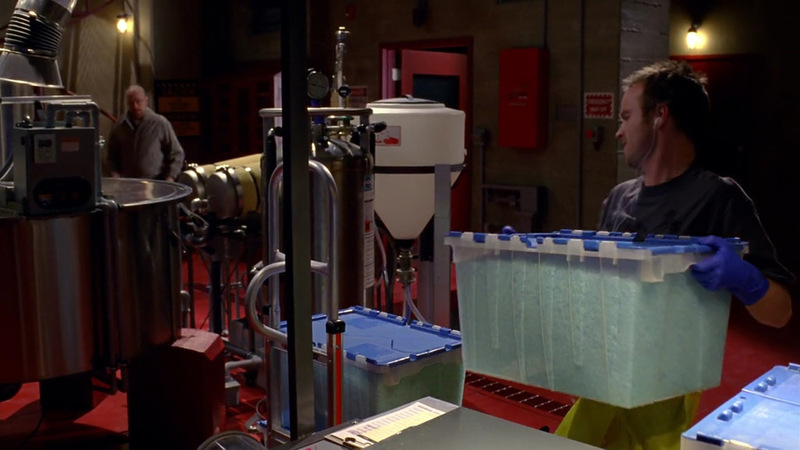 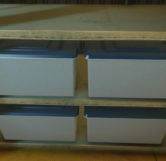 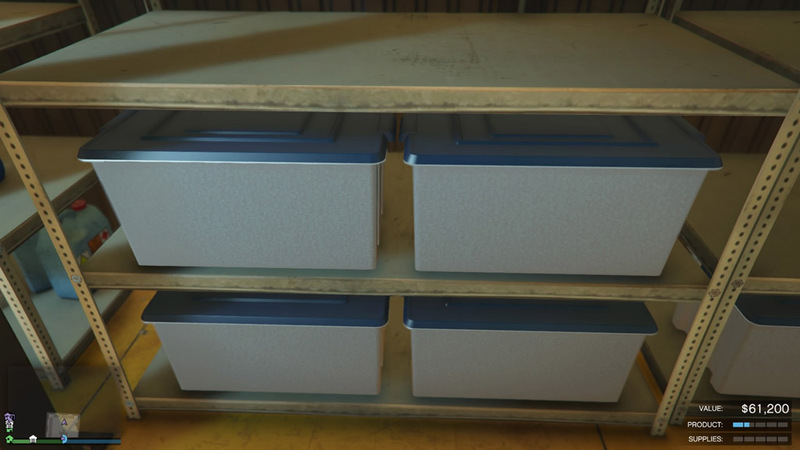 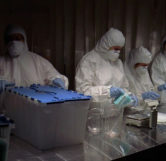 The large clear bins of meth which make up your product count are very similar to those they store the meth in on the show before shipping it off to Gus’s production line. 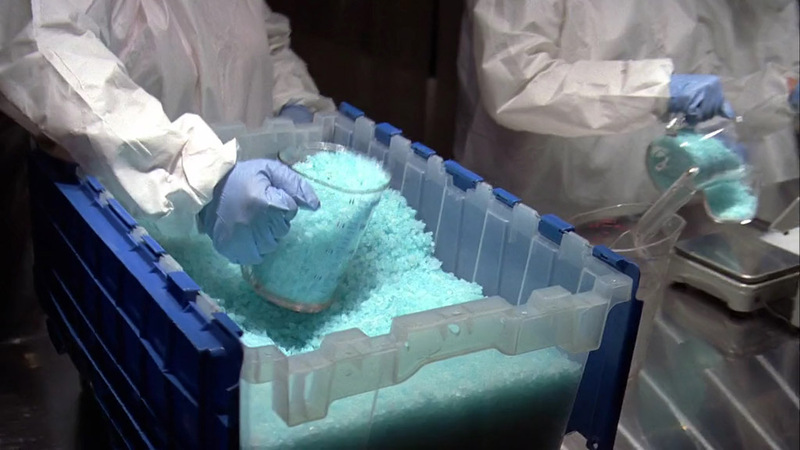 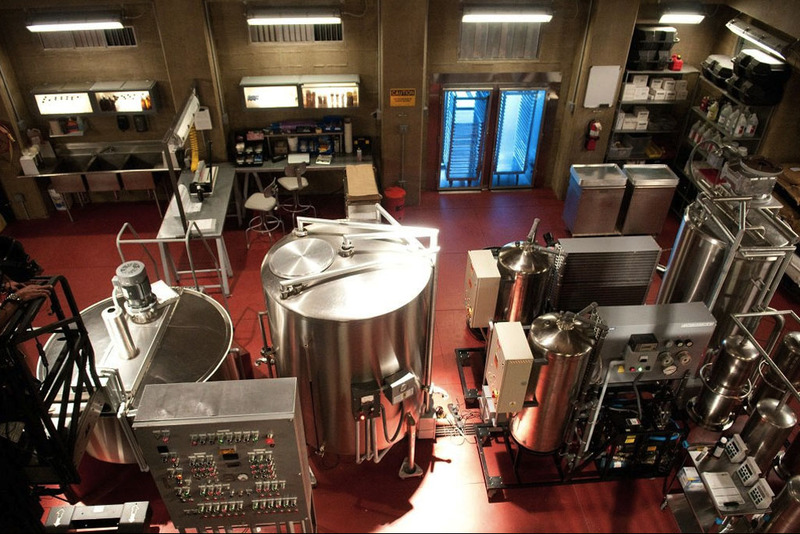 The trays of freshly cooked meth are stored in a refrigeration unit almost identical to the one found on the show.